It is still rightly referred to as the Date Which Will Live in Infamy, that morning 75 years ago when Japanese airmen launched an attack on the U.S. at Pearl Harbor. Though war with Japan had been building, peace talks were underway even as the attack occurred and our military were caught napping. At the end of the day, more than 2,400 Americans were killed, 1,178 were wounded and our Pacific fleet was crippled, with five battleships, along with 13 other U.S. ships, sunk. America, deeply divided about its role in a world war already underway across the Atlantic, would quickly enter -- and, at the cost of many lives, eventually win it, reshaping the Pacific and ushering in the atomic age. Pearl Harbor should never be forgotten. The immediate horrors and human impact of the attack are three-quarters of a century past, but there are clear lessons for today’s leaders from the events of that day. Pearl Harbor is rightly called a sneak attack. But it wasn’t a surprise. U.S. intelligence officials knew Pearl Harbor was a target. 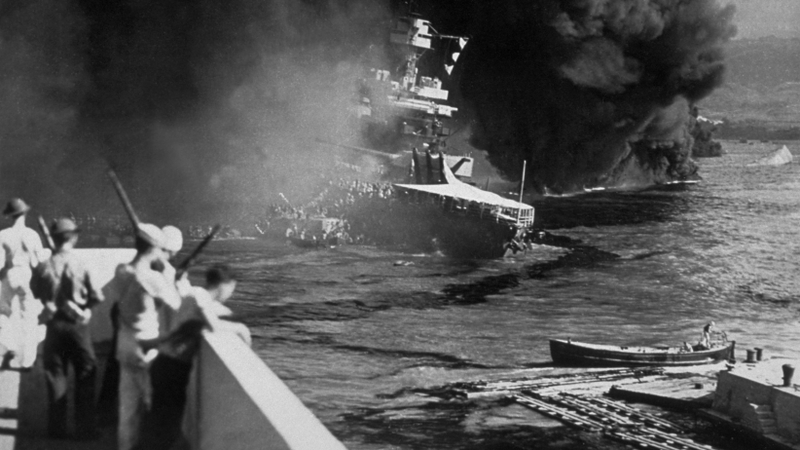 As early as January of 1941, the U.S. was warned that Pearl Harbor was a target. Yet, there were not enough preparations to prevent the loss of life and valuable materiel. Intelligence existed, but it was never used. In the era of “Big Data,” this happens often. Many business leaders spend a lot of time and money on data that is never turned into action. Understanding the data you have, and creating a strategy to use it effectively, separates winning businesses from the rest of the pack. In inquiries after the attack, there was a common theme: Yes, Pearl Harbor was an obvious target. But no one imagined Japan would strike before a formal declaration of war. In addition, an attack of the size and scale was so difficult to pull off, many in the military didn’t think it could even happen. Just because something is hard, doesn’t mean it can’t be done. This comes up a lot when business leaders evaluate potential competition. They often fall back on the safety of high barriers to entry. Yet, business history is filled with examples of bold strokes and products that took an incumbent business with prohibitive market share and made them obsolete in short order: MySpace v. Facebook, Apple v. Blackberry, Netflix v. Blockbuster, etc. The U.S. was not knocked out of the war of the Pacific after Pearl Harbor, but it would have been…but for one detail: The Navy’s aircraft carrier fleet wasn’t at Pearl that morning, so three carriers survived. That was key because Pearl Harbor was followed six months later by a decisive victory, led by U.S. carriers, at Midway Island. That battle checked Japanese naval advances and helped buy time for the U.S.’s superior industrial capacity to build the ships needed to beat back the Japanese. Ironically, leaders on both sides thought the battleship would be far more important to naval engagements in the war, but the U.S. realized that, in a theater as vast as the Pacific, carrier-based air warfare could turn the tide. Not only did America adapt with a new strategy based on the ships it had, that move proved decisive for victory. Business leaders know the ability to adapt is critical. If you put all your eggs into one product basket, you have less flexibility when you face tougher competition or need to pivot. Constantly rethinking your strategy, based on your available resources, if often the key to business victory. History is full of examples of one decisive battle ending a war almost at the beginning. Poland was invaded by the Nazis on September 1, 1939. The country was out of the war by October 6. The Japanese wanted a similar knock-out blow: Take out the U.S. Navy, sow confusion and fear in the American people, and sue for peace. The Navy survived. Americans united. And the U.S. freed the world. Why? Two factors. First, economics. America had tremendous industrial capacity and could bang out planes, ships and bombs faster than any country on the planet. Japan’s industrial capabilities were small, and its land invasion of Asia was designed to help its ability to fuel its war effort. That took invasion and slave labor. Americans built willingly, not just out of patriotic duty and pride, but because the capitalist system ensured people benefitted financially for the labor they produced. Capitalism helped the U.S. win the war. Second, Americans, as divided as they were prior to December 7, 1941, have a habit of putting rancor aside when the chips are down. That’s important to remember in this hyper-political climate. As divided as we seem, Americans are very much the same in core values. For business leaders, it’s important to recall that spirit of strong Americans buoyed on a capitalist framework as the basis of U.S. entrepreneurship. The freedom to trade, to buy, to sell and to believe is what created the underlying environment in which entrepreneurial endeavors thrive. And the sacrifices of our military, including the thousands at Pearl, ensured that our system – and your business – is free to succeed and thrive.